Home > Products > Biblewhere > First month FREE. Then $14.95/mo. Your subscription will renew automatically. First month FREE. Then $14.95/mo. Your subscription will renew automatically. 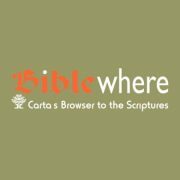 BibleWhere provides members online access anytime, anywhere and from any device to exclusive, invaluable, interconnected, fully searchable treasures that shed a new light on Bible lands and times. An amazing collection of written, drawn, illustrated, photographed, filmed and otherwise documented content. And yes, this already rich wellspring is growing by the day. First month FREE. Then $155/year. Your subscription will renew automatically.